The Omega Desposit from Chubbsafes is ideal in any situation where items and valuables need to be quickly and easily secured without having to first open the safe door. 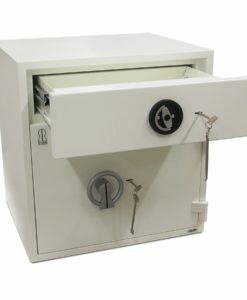 This in turn means increased security for staff and the contents of the safe. Its large deposit mechanism makes the Omega suitable for larger items such as envelopes or packages. Items dropped into the safe cannot be removed via the deposit drawer thanks to the anti-fishing device. Meanwhile, the 10mm thick steel door is secured by a bolt system operating on 3 sides of the door. 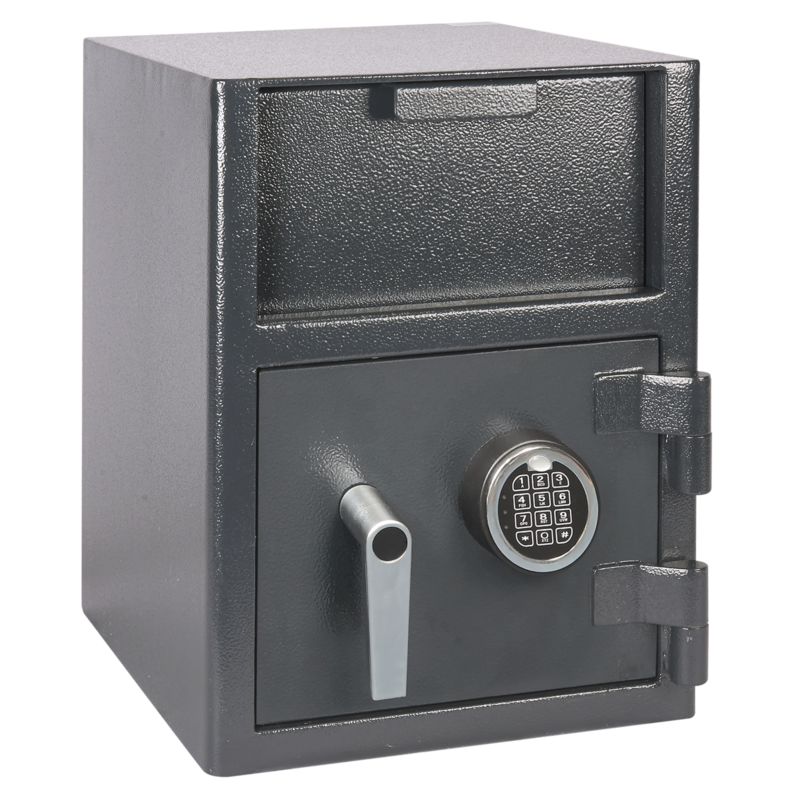 Available in two sizes, the Omega Deposit can be fitted with either a standard double bitted key lock or an electronic lock.